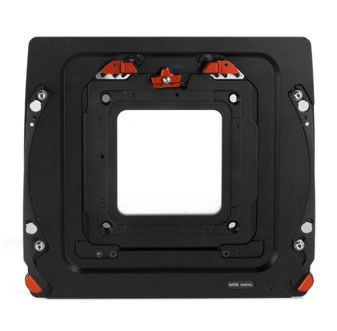 The WDS-618 is a complete rear frame to accomodate a digital back with Leaf Afi or Sinar HY6 interface to the WDS-body working with the WDS Lenspanels with Digitar Series. The design of the digital back from Leaf and Sinar allows for mounting in landscape and portrait mode. The rear frame has a central interface plate SLW-81 that can also be switched between landscape and portrait mode.